We love turkey mince. It’s super tasty and low fat. It makes a yummy substitute for beef in tacos, lasagne etc. 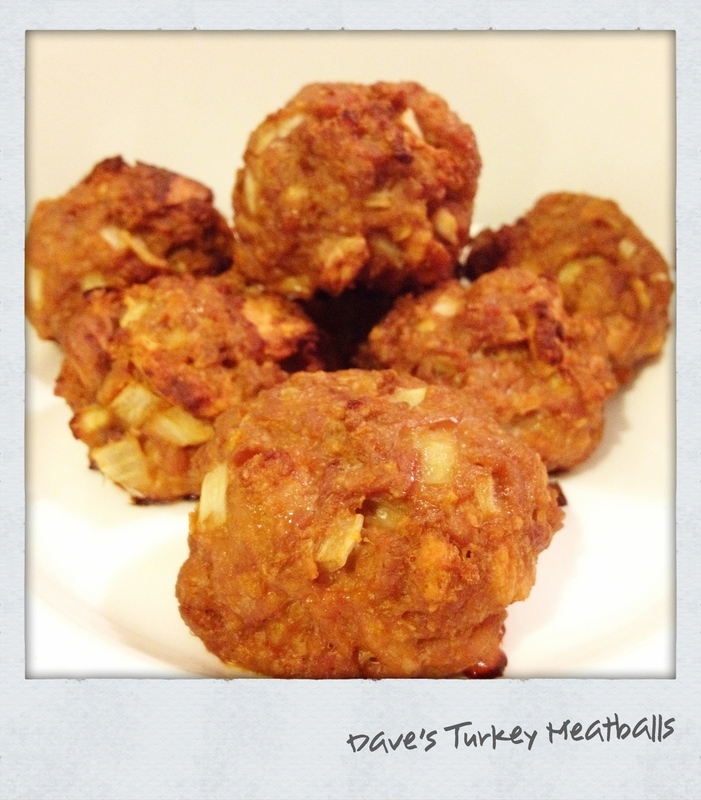 So this is how Dave Jack makes turkey meatballs. Combine 500gm turkey mince, 1 egg, approx half cup breadcrumbs, 1/3 onion diced, chopped garlic to taste, tomato sauce, mustard, soy sauce, Worcestershire sauce, Italian seasoning in a bowl. Place on baking paper and pop into oven at 180-200° until golden and firm. Serve with dipping sauce, or add to pasta or salad. Sorry about the approximations, Dave measures nothing and makes everything different each time!